Football stakeholders in the South South zone would tomorrow (Friday) roll out the drums to honor president of the nation’s soccer governing body, Amaju Melvin Pinnick in Uyo ahead of the AFCON 2019 qualifier between the Super Eagles and Libya. 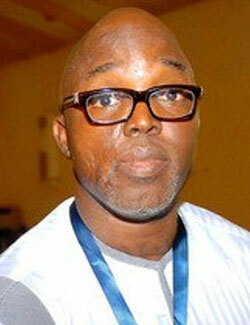 Amaju who is also the first Vice President of the Confederation of African Football (CAF) is being honored by the zone over his numerous achievements as NFF president and for breaking the jinx of incumbents at the Glass House not doing a second term after winning the September 20 elections in Katsina. A leading stakeholder, Dr Peter Singabele who is a patron of the South South zone said yesterday that Amaju as a worthy son of the South South deserves to be recognized and honored by his people for doing the zone proud. Chairman of Akwa Ibom state FA, Emmanuel Ibah who is now a board member of NFF noted that Amaju has while climbing up the ladder carried along so many Nigerians. Spokesman of the South South zone, Hon. Frank Ilaboya disclosed that the event which would hold at Monty Suites, would be graced by Akwa Ibom State governor, Udom Emmanuel, sports commissioners and FA chairmen from the zone, as well as other key stakeholders.